Delta Blues. Down home, the way blues was meant to be. 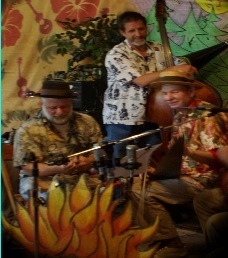 Featuring Chris Dunnfield, Bill Veley, Tom Spies, and Bryan Rhodes. 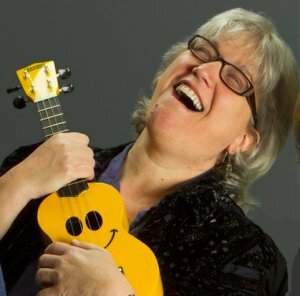 Crooked Kate features folk singer Rita Brown (2010 Gazette-Times favorite singer) and cellist Anne Ridlington, playing a blend of folk, pop and classical music. 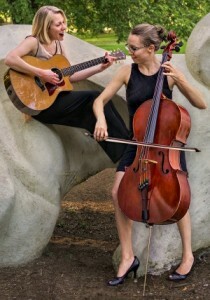 The inventive cello provides rich harmony with Rita’s voice and guitar. 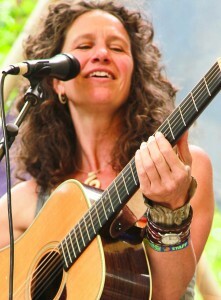 Anne, who plays cello with the Eugene Symphony, also does impressive solos. They’re fun, and they’re GOOD. 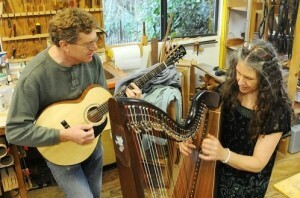 Sharon and Dave have been making beautiful music together in Corvallis for decades. 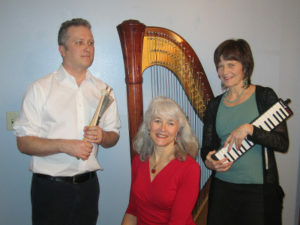 They perform traditional and new music written by Sharon, mostly on instruments made by Dave. 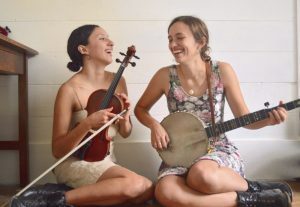 Stringband music from a bygone era played the way it always should have been. With strong eastern influences, and a strong supporting cast, Sid Rosen delights with his original compositions for guitar. 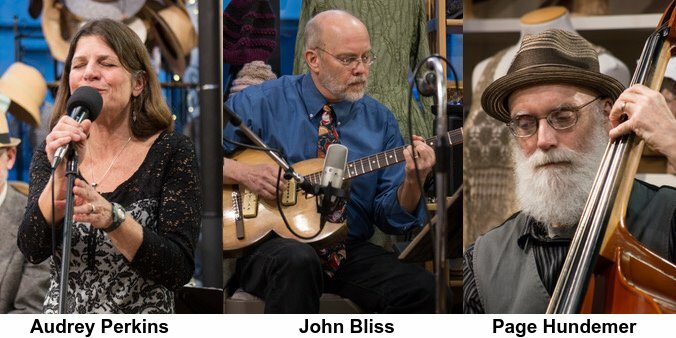 John Bliss (guitar, mando), Page Hundemer (bass) and Audrey Perkins (vocals), come together again for an eclectic set of swing, a tune by Peter Mayer, one by Jason Isbell, an old gospel song, a much-needed protest song and other tunes we love. 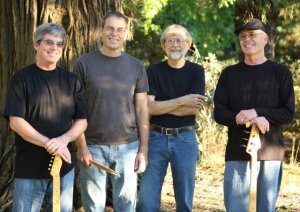 We planned this as a special double-bill as we share the evening with Corvallis favorites Dave Plaehn and Jeff Hino, the area’s premier blues duo. Cross pollination likely. We will be recreating the old “Beatle Fest,” that ran for many years, mostly at the Fairgrounds. 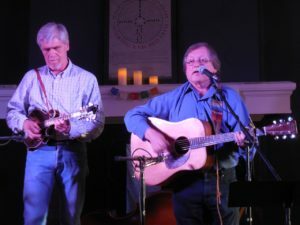 But Beatle Fest began as an evening of all acoustic arrangements, at the Old World Deli, back when Old World was the largest music venue in town. 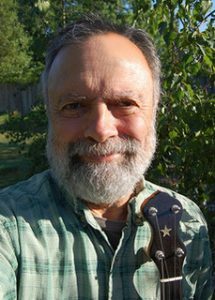 The creator of Beatle Fest, George Beekman, will be on hand to help MC this event, and to add percussion for some of the musicians who perform. 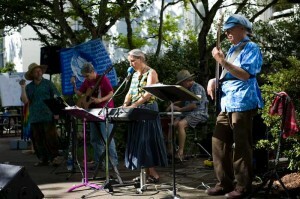 Musicians include Barbara Gladstone, Fred Towne, Audrey Perkins, Pete Kozak, Suz Doyle, Nils Nilson, Jeanne Homes, john Bliss, Bryan Yorgey, Bill Pfender, Mark Weiss, Cliff and Chere Pereira, Paul Regan, Joel Garfunkle and Larry Beekman, who played at the very first Beatle Fest low those many years ago. Admission is 2-10 dollars, your choice. Kids are free and welcome. Coffee, tea, cookies, and gluten free cookies are available for 50 cents each. Folks may want to arrive early, to get parked close. 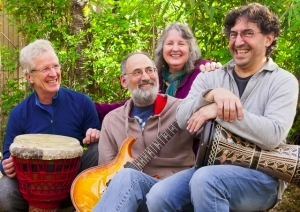 This show is a benefit for the Corvallis Folklore Society. We hope all members will come and support our parent organization, while enjoying some really good songs performed in original ways. 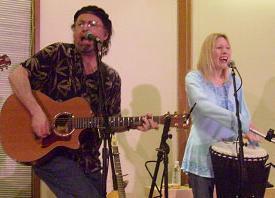 Evelyn Idzerda and Ron Snyder create some wonderful sounds with sweet singing and hot guitar picking. 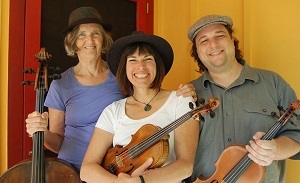 Laurie Childers, Mina Carson, Bill Veley, and Michael Everett combine to be one of our areas finest groups. Great vocal harmony and excellent instrumental work. Some fine originals and a few covers, as well. The Best Cellar is held on the last Friday of each month of the school year. Admission is a sliding scale, 20-10 dollars, your choice. Kids are free and welcome Cookies, gluten free cookies, coffee and tea are available for fifty cents each. 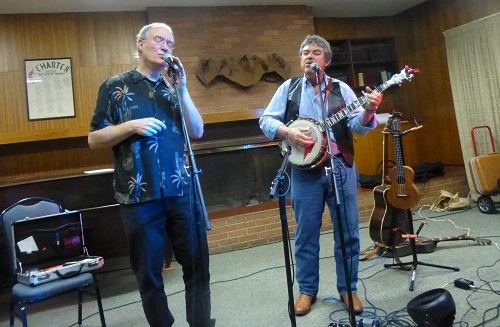 We’re located in the cellar of the Methodist Church, on 11th and Monroe, in Corvallis. 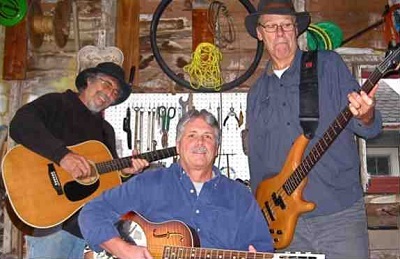 Blues & Sunshine features two of LB’s own, Ron Sharman & retired English prof Tom Chase, joined by Steve Sever, the inspirational mentor & father of nationally known singer/songwriter Matt The Electrician. These local guys are a garage band in the truest sense of the words. Come join the fun. 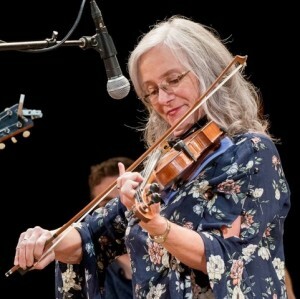 Rita and Bill have been performing, together and separately, for over ten years as a duet, soloists, and as members of such groups as Where To, Crooked Kate and The Flow, after meeting as part of a Joe Cocker cover band. They are not to be missed. 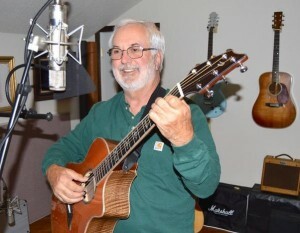 Randy recently returned to Corvallis where his love for guitar and performing began while an OSU student in the 1960’s. 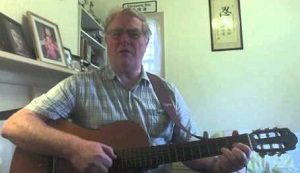 Randy became a regular at open mic events on campus playing and singing material by such artists as the Limeliters, Joan Baez, Bob Dylan, Gordon Lightfoot, and the Beatles. 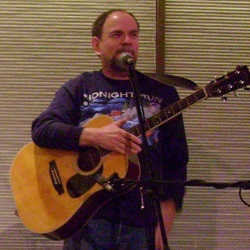 His acoustic guitar technique was influenced by classic guitar training, and the fingerpicking style of Merle Travis and Doc Watson. He released a CD called “Finger Pickin’ Good” in 2014, and now performs regularly at Imagine Coffee. Delta Blues. Down home, the way blues was meant to be. 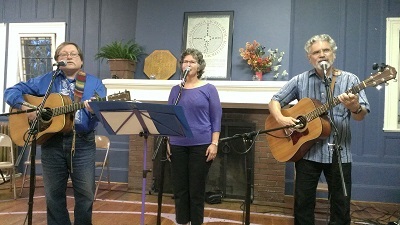 The members of the band, left to right, are Brian Rhodes (guitar), Tom Spies (drums), Chris Dunfield (harp/vocals) and Bill Veley (bass).